All over the world, numbers are up for sparkling wines. In the US and UK, we are huge consumers of Asti sparkling wines from northern Italy, but these have traditionally been rather sweet. 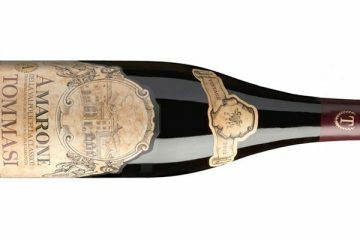 Recently, however, Asti producers have created a new category that’s nearly as dry as Brut Champagne. Asti Secco [secco means dry] was officially sanctioned by the Italian Ministry of Agriculture earlier this year, and a few weeks ago I tasted one of the industry’s early releases at Piedmont’s Tosti 1820 winery. 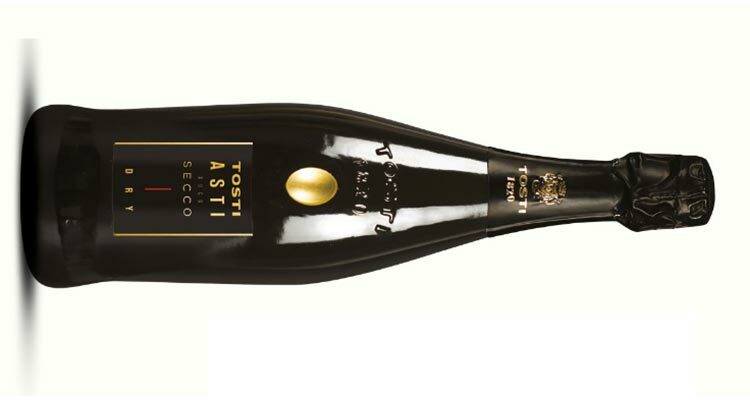 According to Tosti principals Giovanni Bosca and Mariacristina Castelletta, their Asti DOCG Secco – Dry is the first on the market, officially released in September. 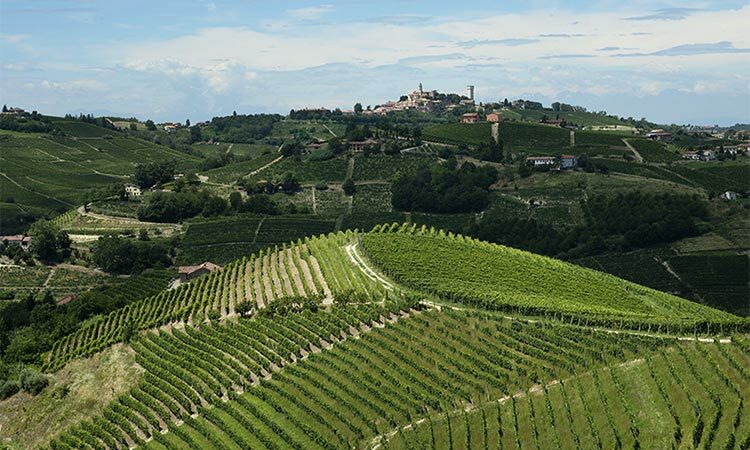 The northwest Italian region of Piedmont is, of course, mainly known for its fine red wines like Barolo, Barbaresco, Roero and Ruchè. But it also has a long tradition of producing sparklers Asti and Moscato d’Asti. Asti is one of the most picturesque wine regions I’ve seen, offering a charming, storybook rusticity. 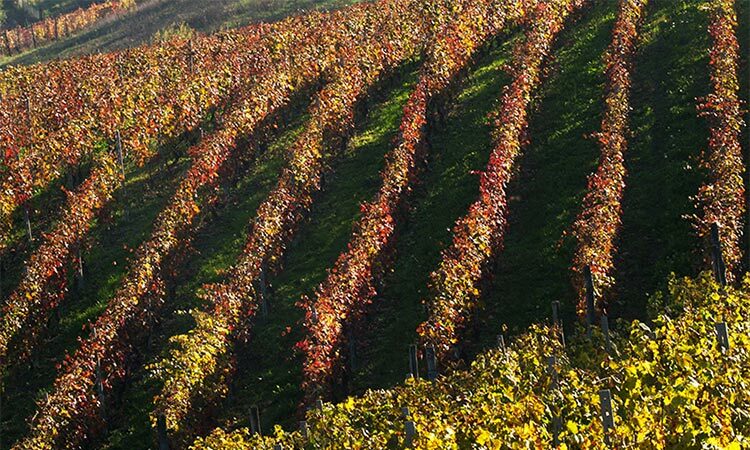 Anchored by the cities of Turin and Asti, the countryside is historically agricultural. Narrow winding lanes connect dozens of tiny, friendly-looking towns surrounded by farmed fields, pastures and vineyards, interspersed with occasional small rivers or forests. Small blocks of vineyards are strategically placed to take advantage of centuries of knowledge about local soil structure and micro-climates. 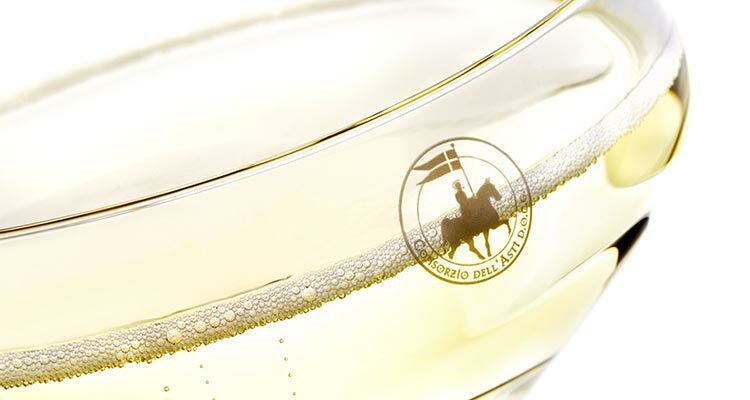 Over the past 50 years, Asti’s sparkling wine has undergone a roller coaster of popularity. 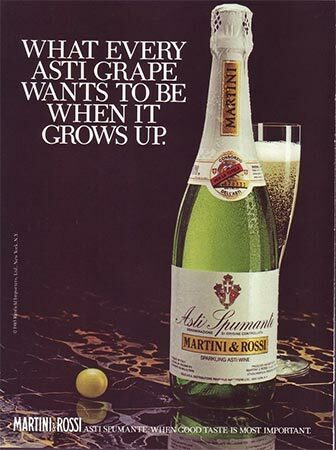 In the mid 20th century, the light, sweet Asti Spumante developed a following after soldiers brought it home from the WWII. Increased demand, however, led to bulk production and lower quality. Among wine connoisseurs Asti’s reputation was shot. Producers have thus spent the last few decades working to recover. To distance themselves from negative perception, the word spumante has been removed from the label. In addition, they’ve increased the quality of plantings and improved production techniques, allowing them to qualify for the highest Italian wine status, DOCG (Denominazione di Origine Controllata e Garantita) in 1993. They have also promoted another wine from the same area, Moscato d’Asti DOCG, with fantastic results. This low alcohol (5%), lightly sweet, highly aromatic wine has skyrocketed in popularity in recent years due to its versatility as an aperitif or brunch wine. But not everyone loves Moscato d’Asti’s traditional off-dry style. As sweet wine has fallen out of favor with many drinkers, there is increasing demand, worldwide, for drier sparklers, which in turn has led many producers to vinify dry Moscato d’Asti. Without a clear label designation for this, however, consumers aren’t sure which style they’re buying. Producers have gone through a number of years of experimentation to figure out how to create a wine that remains true to the aromatic nature of the moscato grapes, yet feels dry on the palate. This can seem mystifying at first, because we subconsciously expect something that smells like sweet flowers to taste sweet. But that’s not the case here. It also features a toastiness in the aroma, along with floral notes that persist onto the palate, creating a lightly fruity experience. The finish, however, is dry and even slightly tannic. ABV is 11%, and it has the same 6 atmospheres of pressure as Champagne. A small amount of sweetness — when compared to the drier Brut Champagne (up to 12 g/l) — encourages us to pair this wine with food. But do this sparingly, with plain crackers or nuts, or perhaps a simple fish or soup course. At press time, there is very little official information available about this new Asti Secco category, except for one paragraph on the Asti Consorzio website which describes a wine that has a “persistent mousse” along with aromas that can include flowers of “acacia, lavender, sage” and fruit such as “apple, pear, banana.” We also know that these wines must contain 100% Moscato Bianco from the previously established DOCG area. So far, only a few of the 52 sparkling wine producers in the Asti consortium are producing Asti Secco. 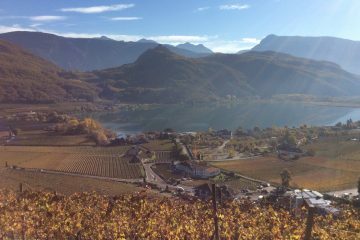 One other is Fontanafredda, which has two wines in current release: Asti Secco and Asti Secco “Up,” whose name refers to the selection of grapes from vineyards on the highest hills. Both have 17 g/l of residual sugar and are 11.5% alcohol. We are encouraged to drink this wine young, while its aromas and flavors are fresh and lively. It’s best as an aperitif sparkler, though it can extend to pair with a light first course. Serve chilled, of course, around 45°-50° F (7°-10° C). Look for Asti Secco at a wine shop nearby, very soon.